After Carson came home from the hospital, he had exactly one week to recover before my parents came to visit. The first few days were rough but he turned a corner on day four and was almost totally back to his normal self by the time my parents rolled up. We were their last leg on a two-week road trip through California. 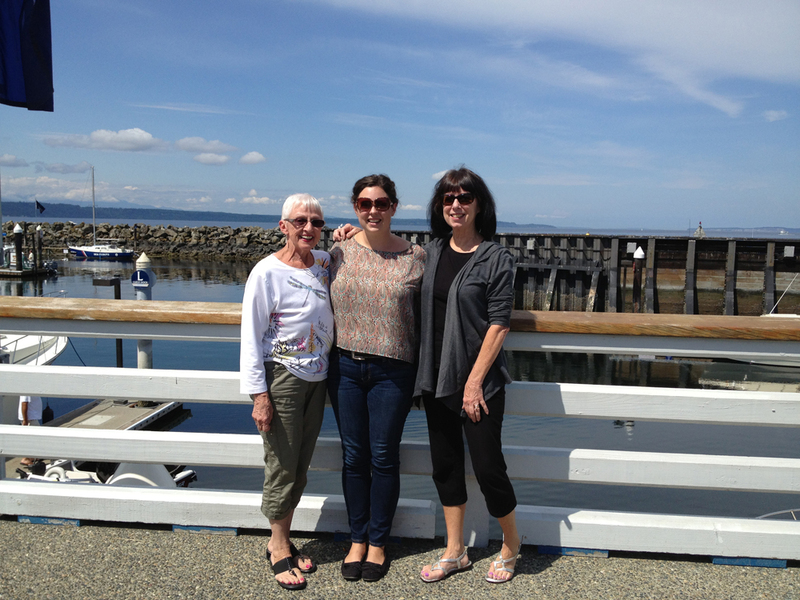 They spent a weekend with us, which was lovely, and then I hopped in the car with them and we drove to Seattle via the Oregon coast. I spent eight days in Seattle before flying home three days ago, which is why I haven’t been posting. I mostly stayed hidden inside my parents’ house, working for two big clients, making major progress on my Gramma’s life story book (thanks Dad! ), eating great food (thanks Mom! ), and relaxing with some quality HGTV. 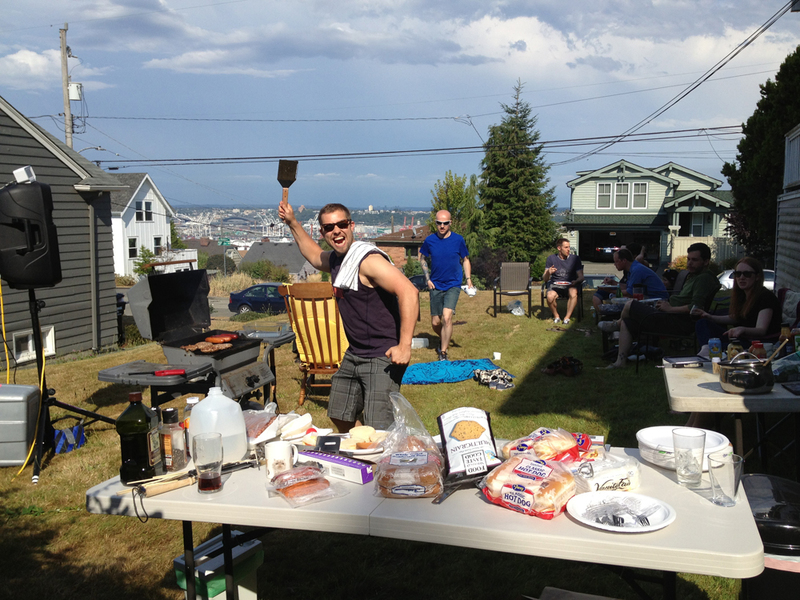 Other than a BBQ I hardly saw anyone, so if you didn’t know I was in Seattle please don’t be offended. It’s hard to see everyone, every time. Enough words. 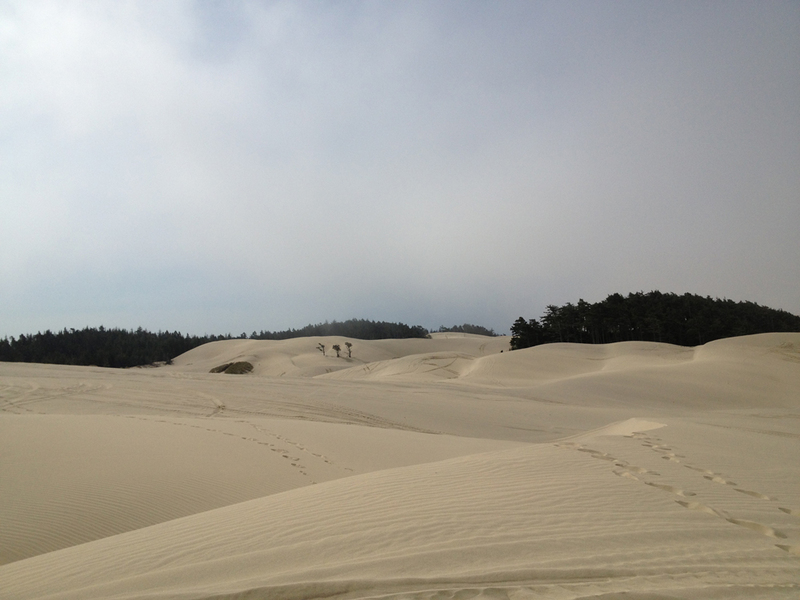 Here’s what I did in photos! 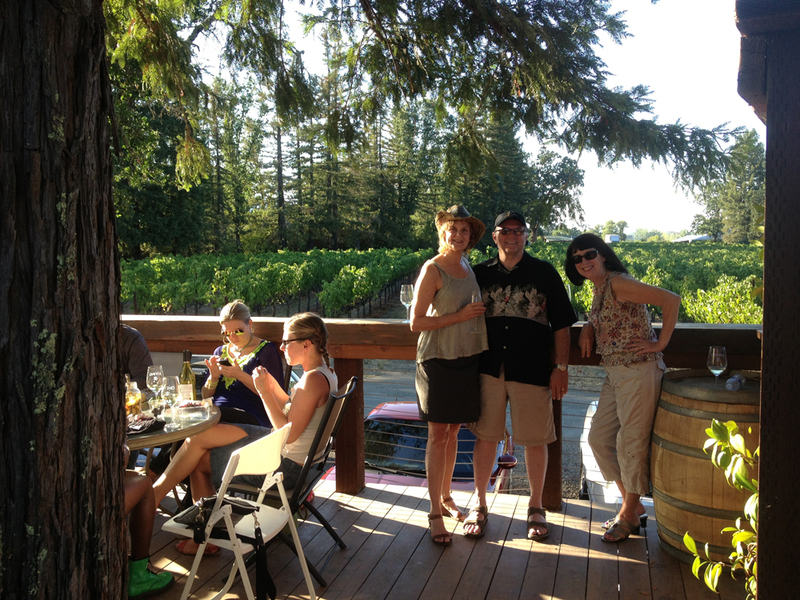 Gathered friends at Rivino on my parents’ first night in Ukiah for some knee-slapping twangy music, bright glasses of Chardonnay, and a picnic. 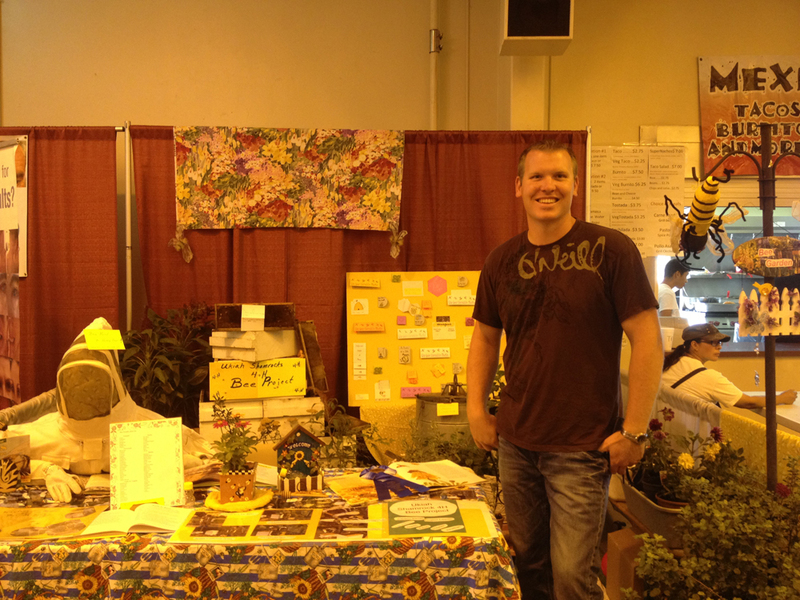 Went to the Redwood Empire Fair, where Carson’s 4H bee club had a first-prize booth. 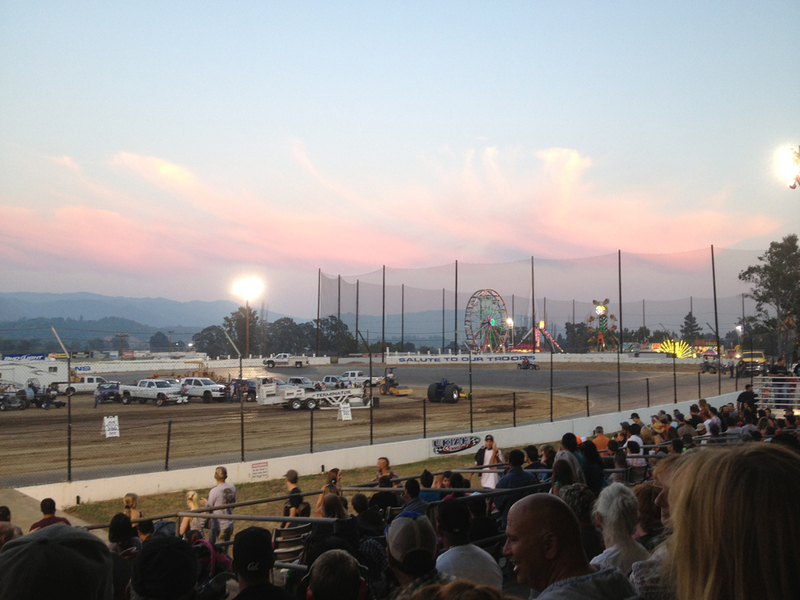 Watched the tractor pull at the fair. Three hours of hilarious entertainment! 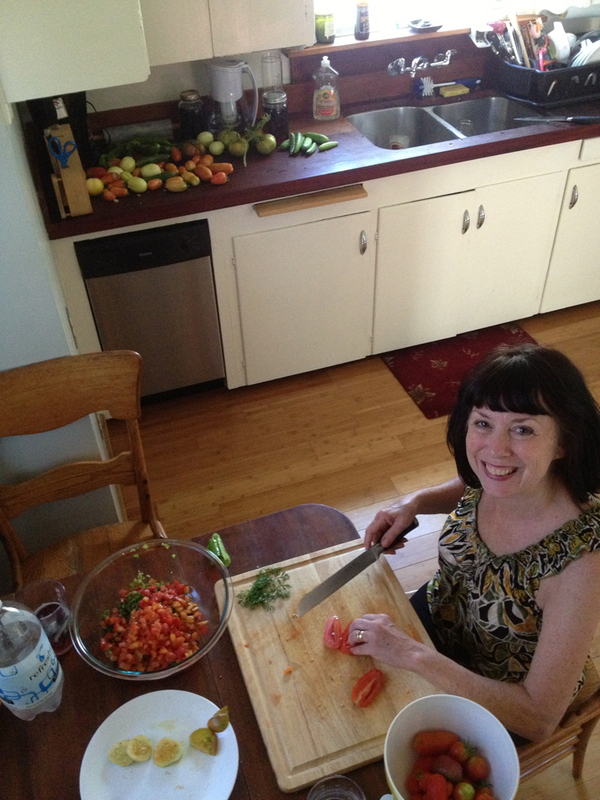 Carson and my mom made salsa using tomatoes, peppers, and cilantro from the garden. It was muy delicioso. 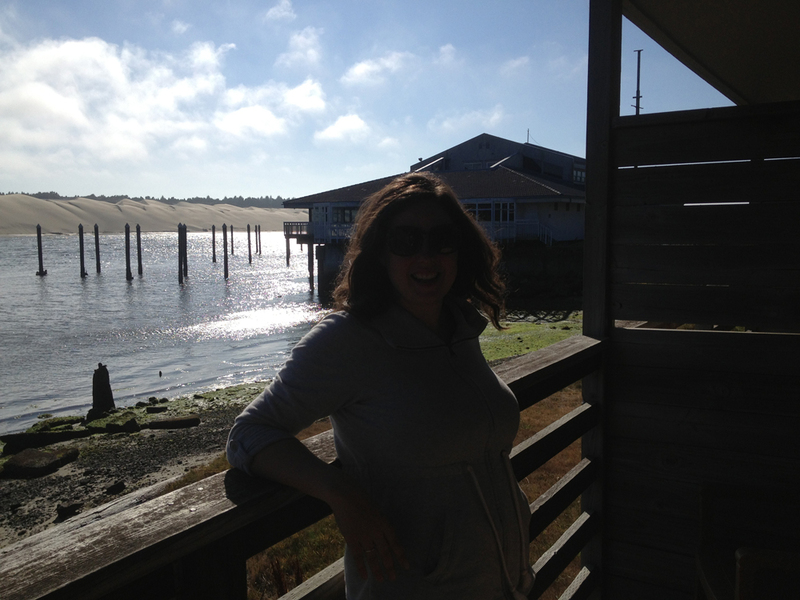 Stopped in Florence, Oregon on our way up the coast to Seattle. We stayed at a sweet little hotel right on the river. 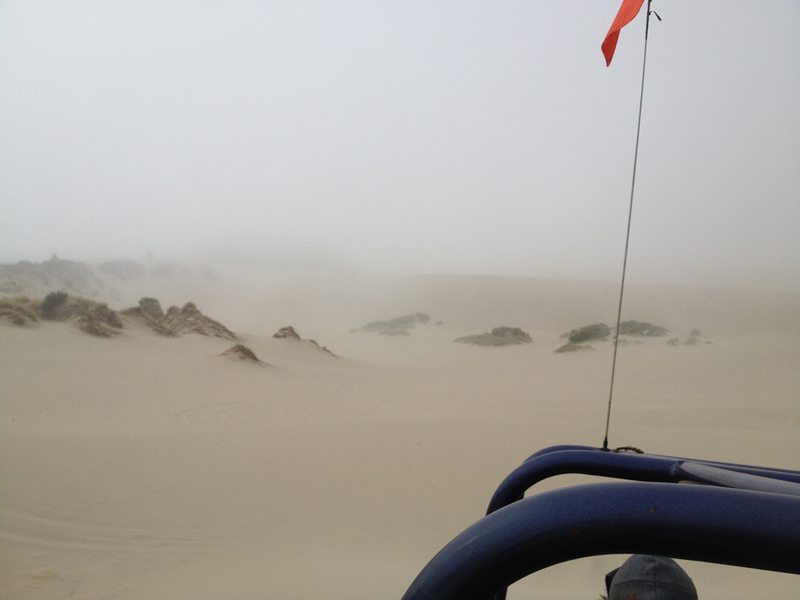 …but by the end of the hour-long ride the fog was lifting. 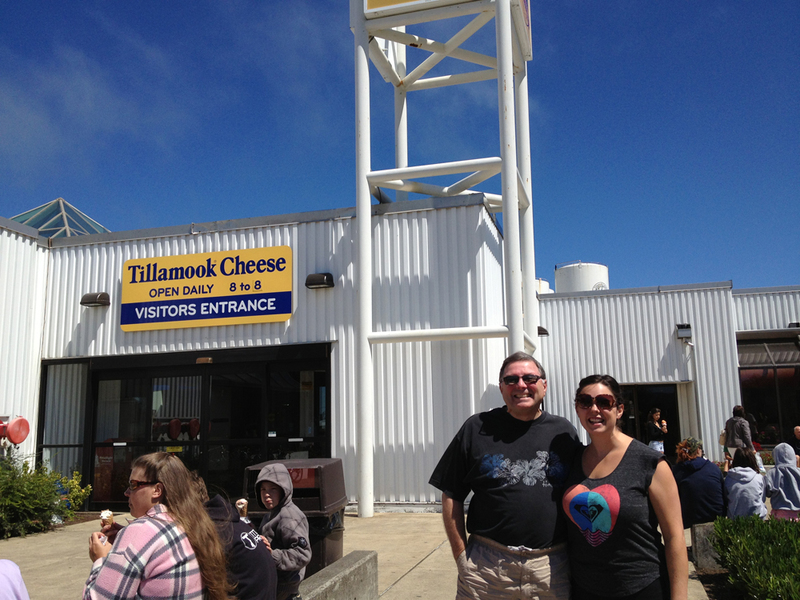 Had lunch at the Tillamook Cheese Factory. You can tell by our oversized smiles that we’re starting to crack after so much time in the car. Once in Seattle, I went on a lovely date with Amber. 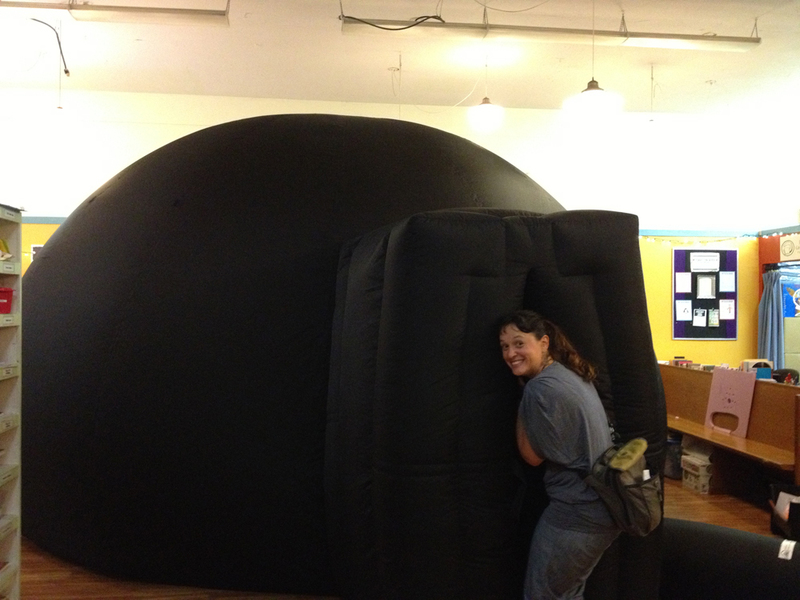 We hit up the PhinneyWood Summer Days festival where a store hosted the UW’s giant inflatable planetarium. We watched an informative 15 minute show. 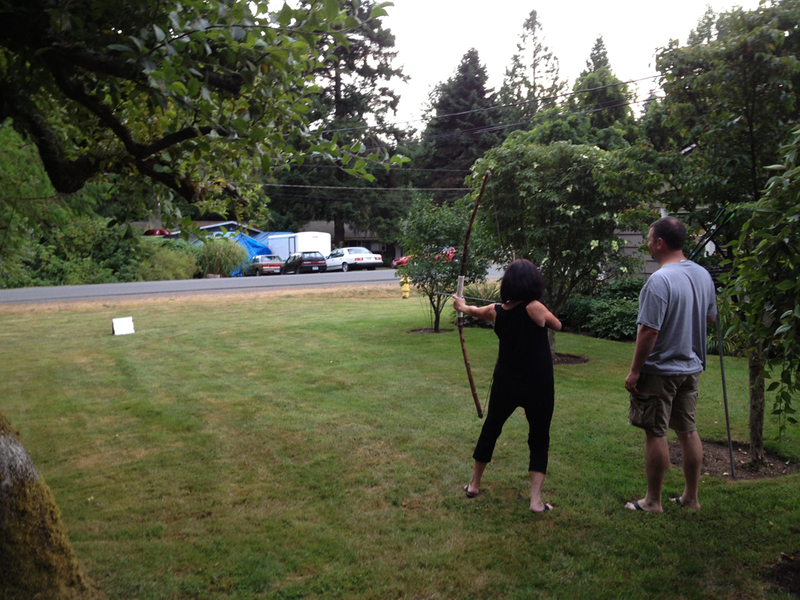 After the Summer Days fair we headed to Broadway, got lucky with a parking spot, and devoured bowls of Vietnamese food. 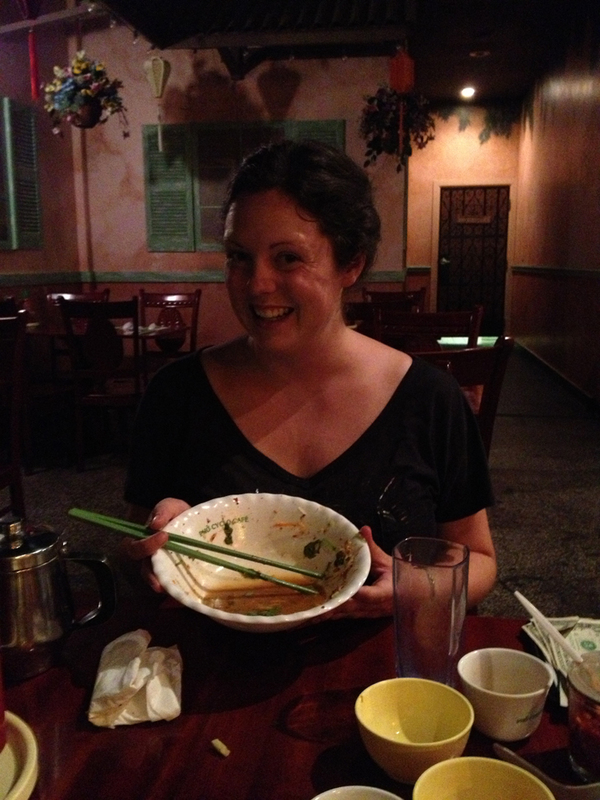 Here I am, post-“bun” (my favorite – a cold noodle salad with meat). 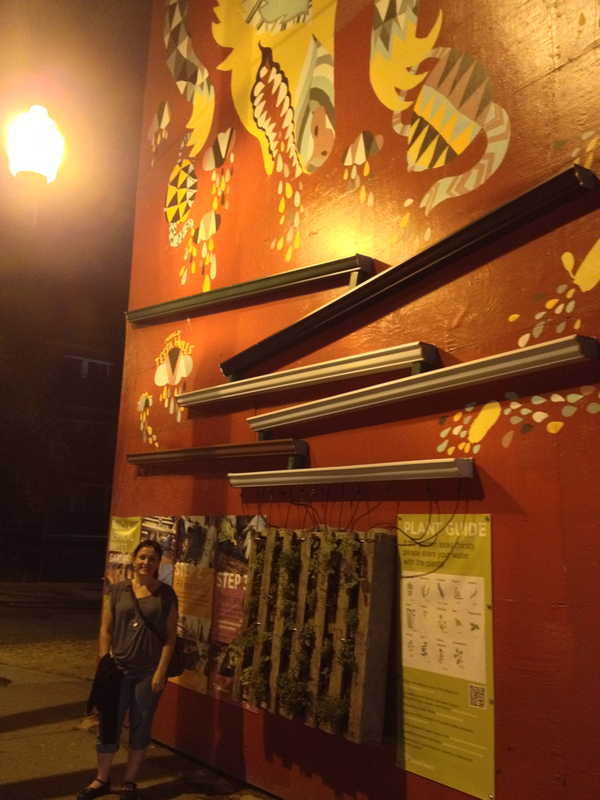 We walked around Capitol Hill and noticed this beautiful mural – which Amber’s friend painted! – along with a newly installed vertical garden with rain gutters to water it. Sometimes I forget how cool Seattle is. 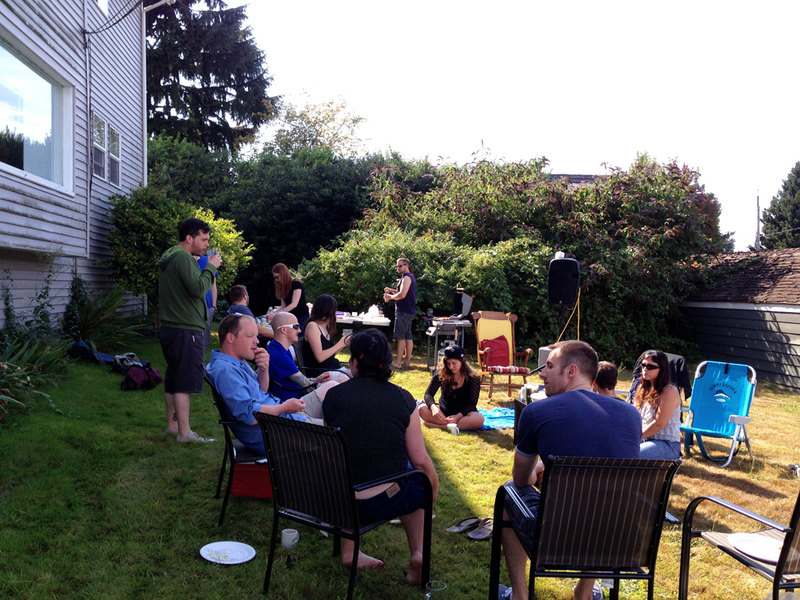 Had a friend BBQ hosted by Jacob and Abby at their West Seattle home. 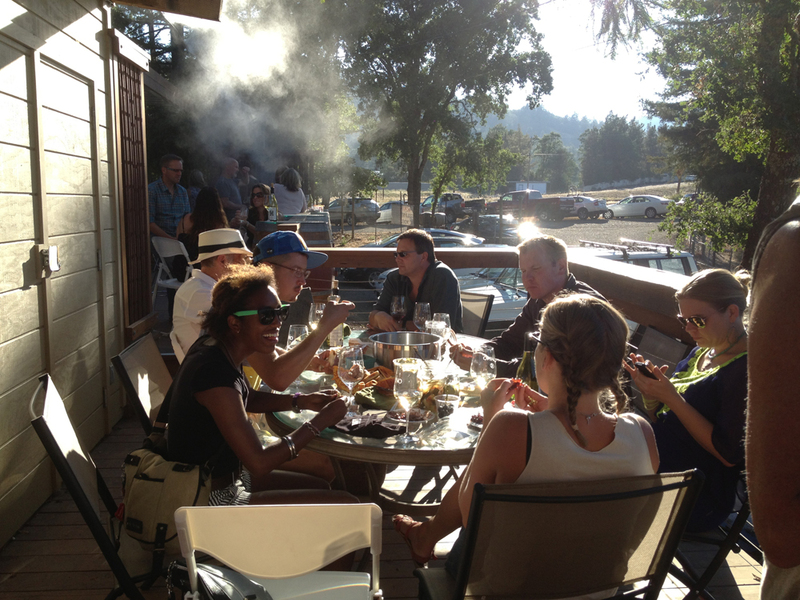 The weather was perfect, the grill plentiful, and the company pleasant (and, at times, raucous). Jacob the grill master at work, with a view that won’t quit behind him. Wrapped up my trip with a dinner and overnight at KMJ’s home. 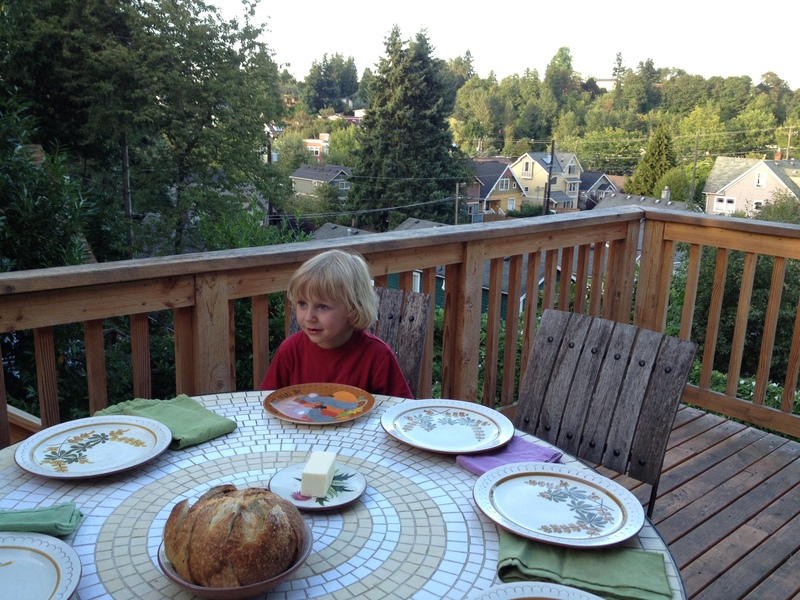 Here’s Jacob eagerly awaiting dinner. 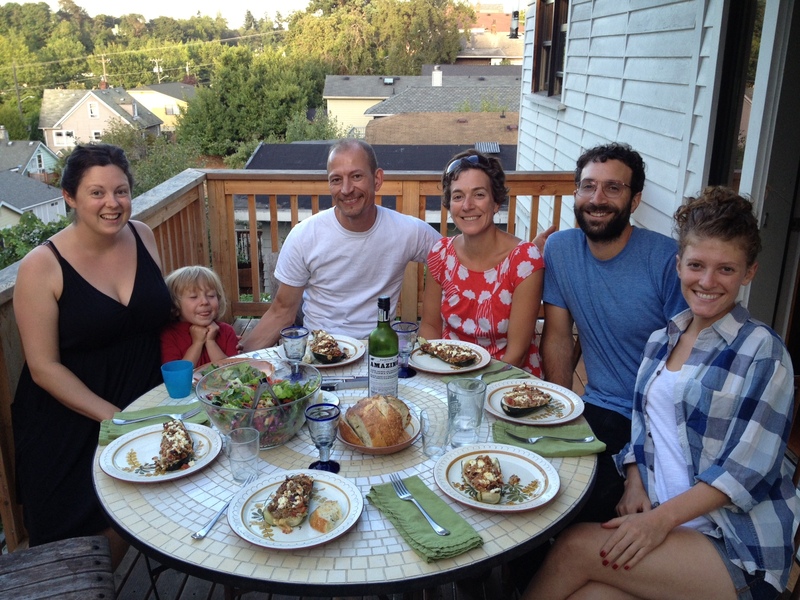 Nothing like ending a Seattle trip at one of my Seattle homes! Plus they’re close to the airport so I don’t feel like too much of a burden when I need a ride. This entry was posted in Around town, Out of town. Bookmark the permalink. Awwww…miss you already. You were a lovely houseguest. It was a very fun week and a half. 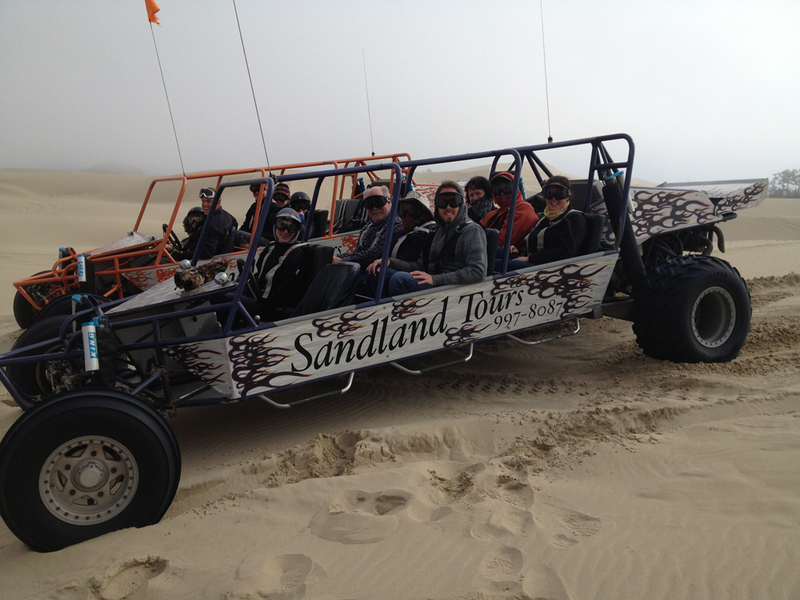 From charming Ukiah, to fun on the sand dunes, to the couch in our living room–we were so happy to be with you!